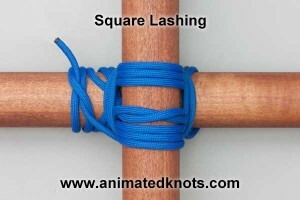 Knots and Lashings are a very big part of scouts. Our troop has a good reputation of knowing their pioneering skills. We won the gateway award at Camporee two years in a row, and we want to continue that record. To learn more about pioneering, we strongly suggest taking the Pioneering merit badge. There are also some very reliable sites and videos you can find below. 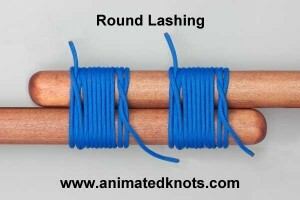 Those who wear the red rope have mastered fourteen knots in under a minute. 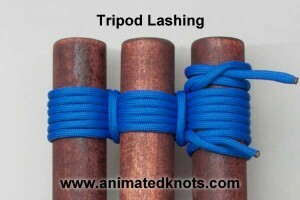 Click here for the Red Rope Challenge. 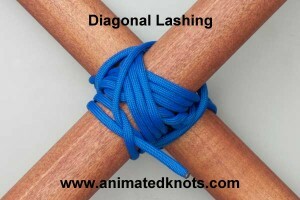 Click each image to see how to tie each lashing.